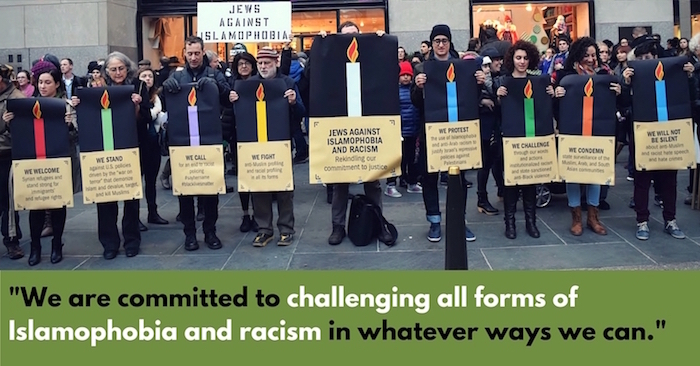 JVP members are rekindling our commitment to challenge Islamophobia and racism in all their manifestations. 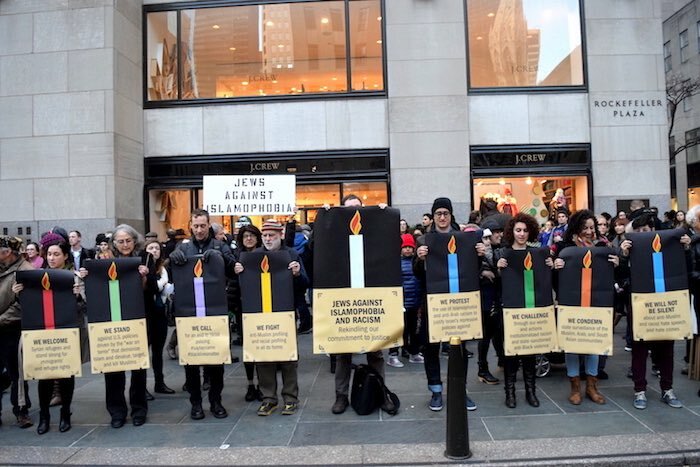 We are marking the eight days of Chanukah by publicly expressing this common message in cities across the country. We pledge to do this work consistently and with integrity—both within our communities and as partners in the broader struggle for justice. Find an action near you below. 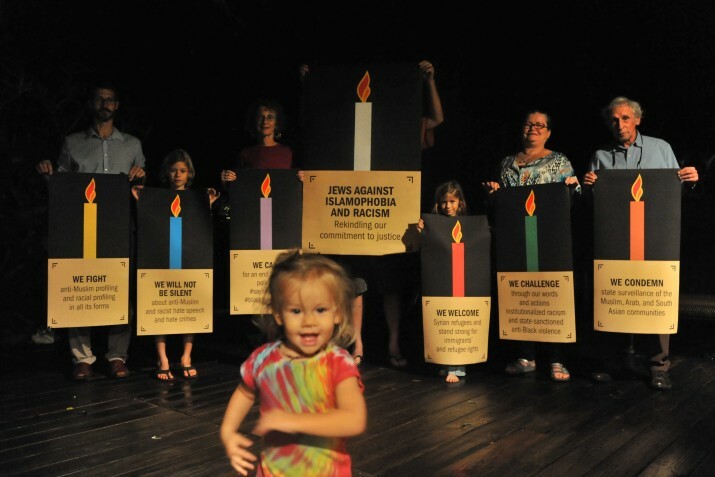 Sunday December 13th - Actions across the country on the 8th night! 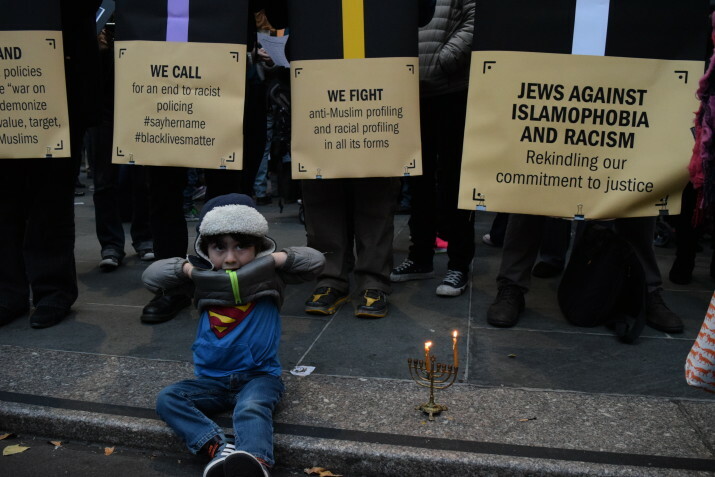 Initiated by Jews Against Islamophobia (JAI) in NYC (a coalition of Jews Say No! 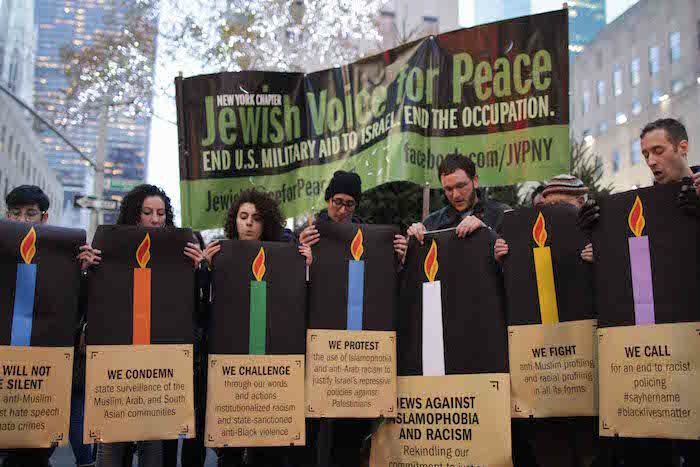 and Jewish Voice for Peace–New York) and the Network Against Islamophobia (NAI), a project of Jewish Voice for Peace nationally, these actions call for the Jewish community to stand strong against Islamophobia and racism and in solidarity with communities facing threats and discrimination in the wake of recent violence and disturbing public rhetoric. 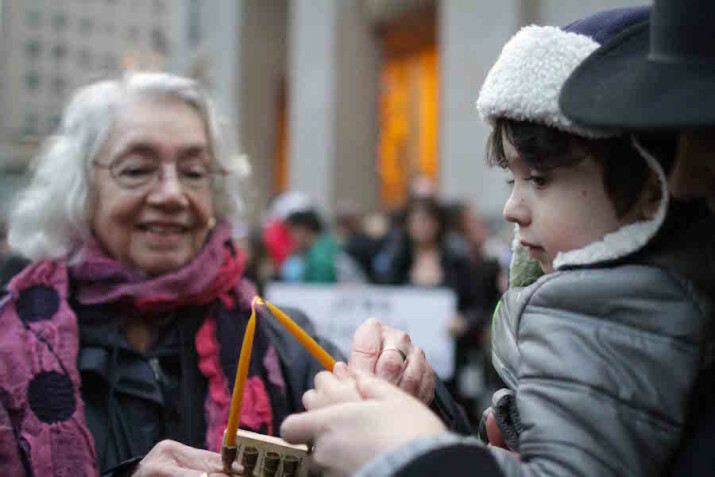 On the eighth and last night of Chanukah, activists in each of the cities will come out again to rekindle their commitments to justice from city to city, from community to community, and from strength to strength. While Islamophobia has long existed in this country, we are currently witnessing an especially frightening level of Islamophobic rhetoric from politicians and media figures, hate speech and physical violence against Muslims and those perceived to be Muslims, and increased profiling and state surveillance of Muslims. This intensified degree of hate and violence does not exist in a vacuum. 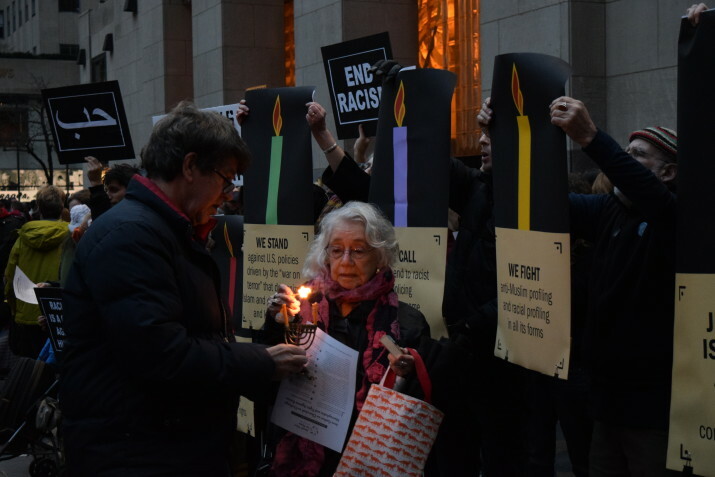 It takes place in the context of the ongoing, state-sponsored Islamophobia of the US government whose foreign policy relies on Islamophobic premises as it has set out to bomb countries with large Muslim populations, and by an Israeli government whose apartheid polices interact with, and are buttressed by its equation of Islam with evil. 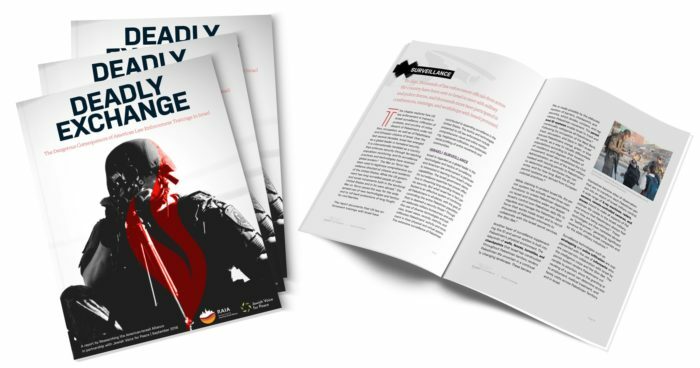 Visit againstislamophobia.org to learn more about the Network Against Islamophobia’s ongoing efforts to challenge islamophobia and anti-arab racism.